If you're one of those people who love to keep secrets then you might have a habit to clear your browsing history on a daily basis. But for some people it's a really boring job to do it daily. Would it be great? if your search history is not saved by your browser, yes it would be. Private browsing feature restricts your web browser to save your browsing history, personal information, auto fill form information. Not only this it bounds companies to track your online presence. If you don't want to clear your history manually then there's a solution for you. 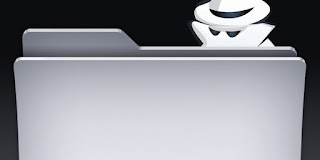 You can enable private browsing feature in your default search engine that is safari. One can turn on or turn off private browsing mode on any version of iOS such as iOS 9, iOS 8, iOS 7 and earlier too. Here iOS 8 supports almost devices such as iPhone 6, iPhone 6 Plus and many other iPad, iPhone, iPod touch apart from iPhone 4. What Is Private Browsing And How It Helps Us? Incognito window protect your information. It blocks some websites which are trying to track you. If your default web browser is safari then it won't remember web pages you've visit. Search history and auto fill information is not stored. First of all navigate to your safari browser and open it. Now simply tap on double square box icon. Then tap on Private to turn on private mode. That's it, now your browser color will appear black or dark rather than normal color. It's just to assure you that you've enabled private browsing. Do the same open up your safari browser. Now tap on plus icon to open new tab. Lastly tap on Private to activate private browsing mode. Then tap on Private to turn off private mode. That's it, now you can surf in normal mode where your online presence can be saved. Lastly tap on Private to deactivate private browsing mode. So this was all about how to turn on or off private browsing mode on iPhone, iPad or iPod touch. If you're any doubt or query regarding this guide then feel free to leave a comment below in the comment section.